Pest control tips - German cockroach control, treatment and eradication. How to get rid of German cockroaches. Why do I have German cockroaches? The main way German cockroaches enter homes and other buildings is by traveling in cardboard boxes, kitchen appliances and furniture, grocery bags, and other delivered packages or even walking across from your neighbour’s property. Once inside, German cockroaches can breed in large numbers and prefer warm, humid places like kitchens and bathrooms. German cockroaches breed extremely fast and each female cockroach can carry 40 plus eggs and there can be as many as 6 generations produced per year. Yes, German cockroaches can be very dangerous to the health of your family once they are established within your property. They carry a large number of viruses, bacteria, and parasites on their bodies which can cause a host of , serious health concerns. Also, when the cockroaches shed skins and defecate they can often trigger asthma attacks especially people with serious respiratory issues . 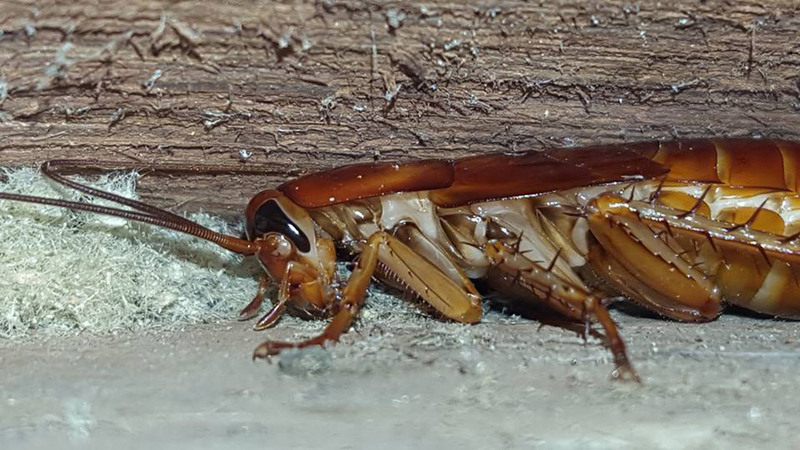 Eliminating German cockroaches from a property can extremely difficult they are nocturnal, breed at a very quick rate, and adapt easily to new environments and are masters of hiding in obscure place where they can be very difficult to find even for experts. To completely eliminate a German cockroach infestation, you need the knowledge and experience of a trained professional. The highly trained pest technicians at clean & Green pest managers understand the habits and habitats of German roaches which mean we can rid your property form these cockroaches in a fast efficient manner which is also safe for your pets and children clean and green can usually eliminate them in one treatment and also prevent them from returning in the future. Are professional cockroach treatments safe? All product used by Clean and green pest managers has first been extensively tested by the EPA and Australian Pesticides and Veterinary Medicines Authority is registered for pest control use which a applied following a strict set of guidelines. How can I prevent cockroaches coming back in the future? Make sure to inspect boxes and packages for signs of live cockroaches or egg casings before bringing them into your home. If buy used furniture or kitchen appliances, make sure to thoroughly inspect them for cockroaches and vacuum and sanitize them before bringing them to your property . Quickly clean up spills and crumbs, regularly remove any trash from your property, and routinely wash all dirty dishes. Northern Beaches cockroach treatment & eradication services.